Calabrian mafia figures have formerly been re-linked to providing senior Australian politicians with ‘blood money’, to allegedly curry political favors. The ABC and Fairfax media are due to publicly re-confirm the blood money, for political influence links, that have long characterized Australian politics and their curious association with Calabrian mafia. It has long been known, that the Australian based Calabrian mafia, a.k.a. the ‘Ndrangheta, allegedly acted as unofficial guns for hire, for some Liberal party figures. With many Australian based mafia targets, dying in suspicious deaths. The ‘Ndrangheta is one of the world’s most brutal and powerful crime networks. Calabrian mafia operators utilize stand over tactics, bashing’s, torture, kidnapping, arson and murder, to enforce a code over silence over their victims. Former senior police and criminal informants claim that the Victorian based Calabrian mafia cell, are allegedly responsible for the deaths of between 160 and 300 people, within Victoria alone, in recent decades. It would surprise no one that individuals suspected of being witnesses, who expose Calabrian mafia operations, die in suspicious deaths. Some are allegedly shot and their bodies deposited in dense bush land. Others perish from agonizing deaths with mysterious poisonings. A large number of crime witnesses, pass away suddenly of suspected heart attacks, while having no pre-existing heart conditions. Former anti-drugs campaigner Donald McKay, disappeared and was believed to be murdered by Calabrian mafia figures, in 1977, in Griffith, NSW. It has been observed that Italian contract killers are flown into small Australian airports. These hit men hunt down their Calabrian mafia targets and discreetly kill their Australian based targets. No questions asked. The police and families concerned are none the wiser. This killing spree has continued unabated until recent months. It has further been noted that some unfortunate souls suspected by mafia figures of having the ability to expose drug trafficking and money laundering activities, are sectioned away into the mental health system. More often than not, these individuals die after several years, with their deaths left unexplained. Such deplorable activities often occur after political donations are proffered, to questionable politicians, of both blue and red hues. Not surprisingly we are advised that witnesses, whistle-blowers, and mafia victims themselves, are subjected to severe acts of retribution, inclusive of; defamation, bashing’s, torture and murder. In what it appears to be efforts to maintain the Calabrian mafia empire’s, dominance within Australia. What’s the deal with the Victorian based mafia? The Calabrian mafia has for many decades has based its Melbourne operations, from the Footscray wholesale fruit and vegetable markets. Over the past decade the Australian godfather of the Calabrian mafia, has expanded his global empire, from wholesale fresh produce, to events management, supermarkets, construction, pizzeria restaurants, in addition to other enterprises. It has widely been reported that the Australian chapter of the ‘Ndrangheta was involved in drug importation and money laundering activities through the Port of Melbourne. Allegedly acting in concert with Mexican drug cartels, to capture and flood the Australian market with cocaine and ecstasy, over the past decade. Frank Maddafferi recently was charged by police and jailed for his role in the importation of the world’s biggest ecstasy shipment into Melbourne, in 2007. He is well known for being permitted to remain in Australia, on “humanitarian” grounds, due to his severe mental health issues. Former Australian Immigration minister Amanda Vanstone is most famous for previously granting Frank Maddafferi a visa to remain in Australia. Allowing Frank Maddafferi to continue subjecting innocent Australian citizens, to his reign of terror. Ms Vanstone has denied ever receiving financial benefits for assisting Frank Maddafferi to remain in Australia. The Italian government and Italian police have tried in vain for many decades to warn the Victorian government and Victoria police, of Frank Maddafferi’s alleged involvement in multiple shootings, kidnappings, arson, stand over thuggery, bashing’s, drug deals and crime, during his former time in Italy. Franks close associate, the alleged Australian based godfather of the Calabrian crime cell, previously had been publicly linked in two coronal inquests, to murders of two men at the Footscray based wholesale fruit and vegetable markets. It should be noted that the Melbourne based, Calabrian associate denies ever being charged with any crime, in relation to murder, money laundering, drugs, extortion or torture. It is conservatively estimated that the Melbourne based cell of ‘Ndrangheta, allegedly presides over the command and control center of a multinational, billion dollar plus, drug and money laundering conglomerate. The Maddafferi clan allegedly excel in the dark arts of infiltrating government departments, political parties, police and intelligence agencies. Human rights insiders have long queried the unsavory influence, that the Melbourne based Calabrian mafia holds over colorful police informants, that have allegedly been embedded into Victoria Police, ASIO, the AFP, the Victorian and federal governments. According to former police, former criminal informants and mafia victims, the ‘Ndrangheta installs criminal informants into law enforcement and intelligence agencies, to feed misinformation to police, government departments and political parties, with the sole purpose of attacking the credibility of witnesses and victims their crimes. Today Australian politics suffers from a credibility crisis, due to its continued reliance on accepting “blood money”, from colourful criminals, such as the Calabrian mafia, in exchange for questionable political favors. So explosive is the Calabrian mafia’s influence over Australian politics, it has managed to bring the federal, Victorian and New South Wales (NSW) political systems into disrepute. It is matter of public record that former federal treasurer Peter Costello was previously given around one million dollars to his private foundation, the Higgins 200 Club, by a dubious religious group associated with the Hillsong Church. Public commentary suggests that this curious political donation was exchanged with Mr Costello, for “religious” and “political” reasons. These “religious” and “political” donations coincided with the Liberal party’s alleged interference in court proceedings, exposing alleged money laundering activities, within construction companies believed to be linked to the Calabrian mafia. 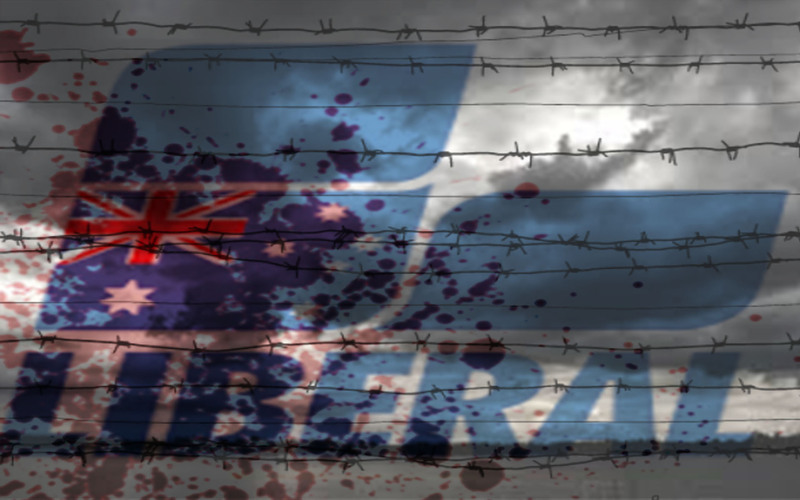 With talk of an early federal election, it is anticipated that the lack of public oversight, poor transparency and accountability, related to dirty money for political favors and the associated acts of state sanctioned torture and murder, will become prominent topics, during a brutal battle for political power. 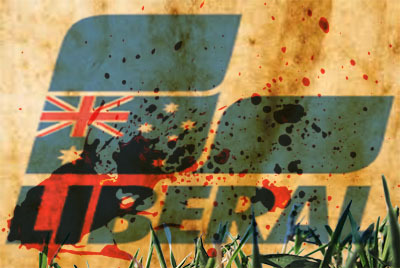 The dinosaurs within the Australian Liberal Party continue to taint their brand with bloody donations from shadowy mafia figures. While the grassroots stand by silently. If the Maddafferi brothers or their buddies in the ‘Ndrangheta are disquieted with our opinions, then they are always welcome to watch the Aussie politicians Question Time, on the ABC, as an alternative form of entertainment. Previously it was reported that concerns about political cover ups and alleged police corruption. (Please note most of these stories were published post, this article being published. They are provided as reference material for viewers to confirm the truth of our disclosures). whoah this blog is excellent i really like studying your posts. Stay up the good work! You know, many individuals are hunting around for this information, you could aid them greatly. Not surprising. 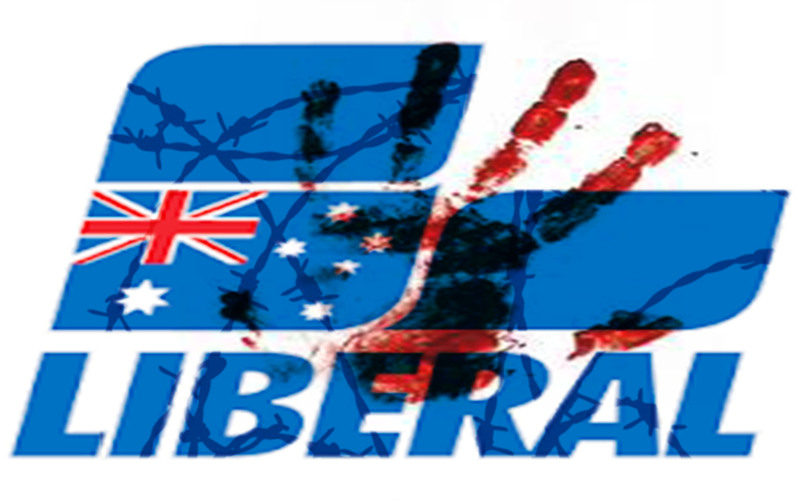 The mafia in Australia own the Liberal National party and pretty much everything else.